Mr McEwen’s family have enjoyed a beach hut for holidays and short stays for several decades. 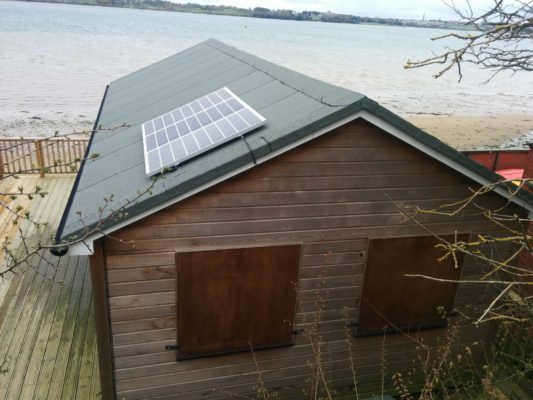 Recently the beach hut has been rebuilt and to go with the renovation he wanted a power system for some relatively small loads including lighting, phone and tablet recharging and also a small refrigerator. There is no electricity connection easily available in the location, hence a stand-alone system is required. 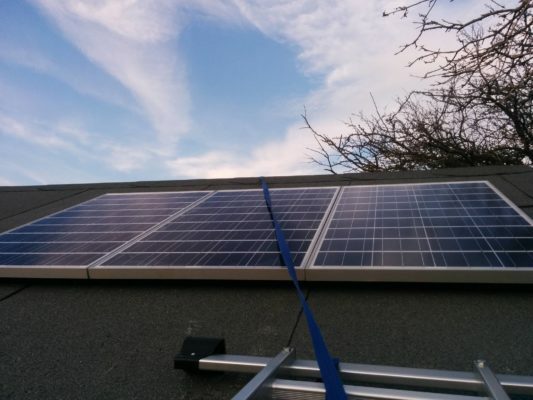 We have installed a number of off-grid systems on beach-huts, caravans, mobile homes and canal boats. Mr McEwen had seen one of these systems and hired us to design, supply and fully install a system on his renovated hut. We worked closely with him to firstly assess the load requirements, then to design a solar electricity system. The final design utilised three solar PV modules, a battery bank and good quality charge controller. 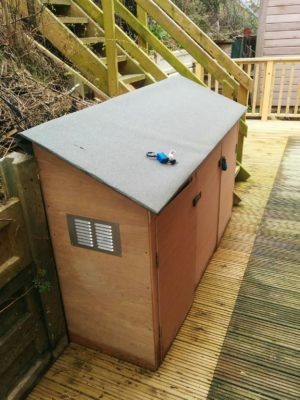 We also built a new outdoor lockable enclosure for the batteries and some of the electrical system. We used efficient LED lighting throughout, including the three small bedrooms. The system has a small ultra-efficient fridge for keeping a few items cool while they are staying at the property. The final system will be providing renewable energy to their beach hut holidays for many years to come.